Founded over 20 years ago, Broadway Basketeers has been manufacturing and selling gourmet gift baskets to customers and businesses alike across the USA and Canada. 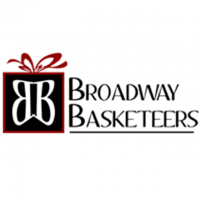 By sticking to their core values, Broadway Basketeers has risen to become a leader in the gift basket industry. OUR 100% SATISFACTION GUARANTEE: You or your recipient must be totally delighted or we will reship your gift or refund your purchase; whichever you prefer. Our guarantee assures that you will be 100% satisfied with your purchase or your money back – no questions asked. Broadway Basketeers manufactures and sells exclusively kosher gift baskets. For more information, please visit www.broadwaybasketeers.com.